Unlock Sony Ericsson Xperia ZL - Safe IMEI Unlocking Codes for You! 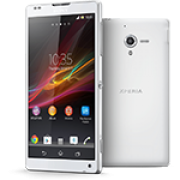 Unlock Sony Xperia ZL Handset! In case your Xperia ZL doesn't ask for the code and there is no designated field to enter it, please DON'T PLACE ANY ORDER, contact us first for support. Looking to get your Xperia ZL unlocked? SafeUnlockCode can offer you a safe and secure, 100% guaranteed to work unlock service that is easy to use and will cost a whole lot less than mobile network unlock fees! On top of this, it’s super-fast! Should take less than two minutes to find the right info, and just one minute once you have your unlock code. No fuss, no hassle, just unlocking. If you’re looking for a different handset to unlock, feel free to look through our directory here. Once your Xperia ZL is unlocked, you will then be able to use your handset on networks like O2, Orange, Vodafone, three, AT&T, Rogers, Bell, Telus, and practically any other GSM SIM network across the globe. Just follow these steps and your Xperia ZL will soon be unlocked! Country - Please tell us the country you bought the phone in. Please note: We cannot refund you if you enter this information in wrongly, please check to make sure you’re 100% positive it’s entered correctly! The next step is to see if your ZL still has unlock attempts remaining. 1. First enter a SIM card that doesn’t use your locked network. Next Power on the Xperia ZL and once you’re on the ‘emergency calls’ screen dial *#*#7378423#*#*. 2. After this, a service message should pop up. The number next to Network will tell you how many unlock attempts remaining. Any number from 1-10 is absolutely fine, but a 0 means you have no unlock attempts and if this is the case, DO NOT place an order with us as it won’t work! How to Unlock Sony Xperia ZL Phone - Tutorial! Now that you’ve done all of that, you should be able to taste the unlock- it’s that close! First, send us your IMEI, your locked network, your country, and an email address so we can send your Xperia ZL unlock code to you. Now check pricing and availability, and then move onto payment and checkout options. 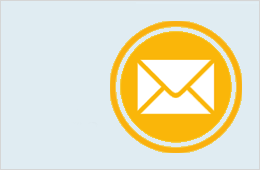 Once you receive the email with the unlock code (after your order finishes processing) simply pop in a SIM card differing to your locked network SIM and turn on your phone. The Xperia ZL will recognize your SIM is not usable and will then ask for an unlock code, enter it here and your Xperia ZL will be unlocked! If you can’t find the unlock code screen, don’t worry, just contact us for help. can you provide code for a phone from US Cellular? Can you help me unlock my handset from Guadeloupe Orange?